Every time I think I am finished with home improvement a hammer hits me right between the eyes. Inflate the tires, top off the gas tank and let the Connecticut commute commence. My mother may become a permanent Florida resident so we need to be proactive about the northern homestead. 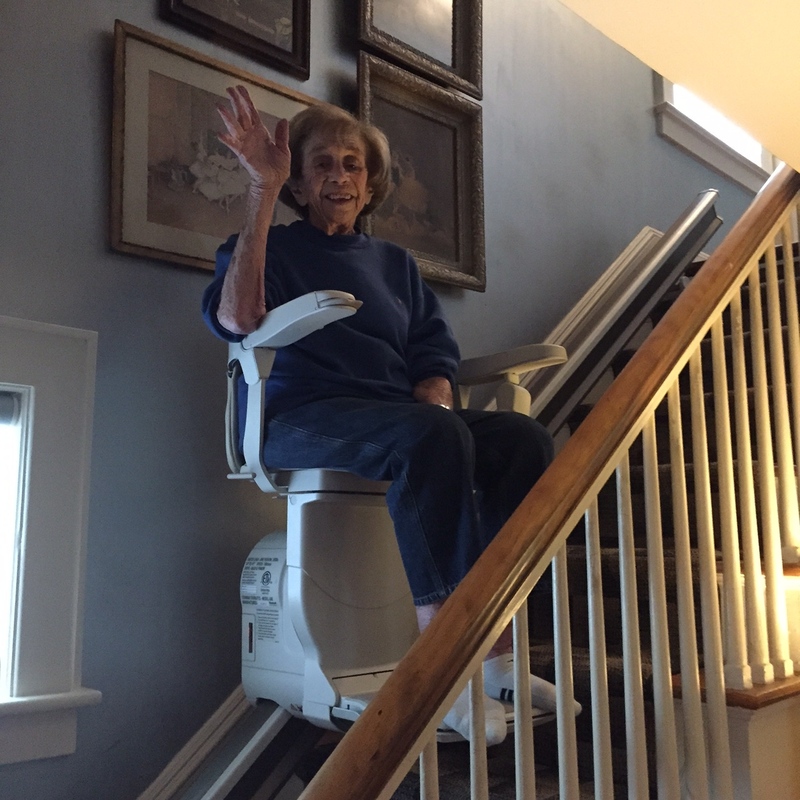 My mother has decided to rent the house, keeping it as an option in case Queen E. can return to her beloved, original throne. I imagine many baby boomers are faced with the same dilemma as our parents hit the 80’s and 90’s and I am not talking shoulder pads and Duran Duran. If they are of sound mind yet frail body what are their options? I know my mom would rather die then live in any type of group facility no matter how luxurious it may be. Many of us have been nudged into the role of accountants, quality of life advocates and sounding boards for all the challenges our senior family members are confronted with. My mom’s life completely changed this year when she fractured her ankle. After the cast was removed she was rendered incapable of walking. This led to extensive rehab which has not improved her condition. We have spent over $20,000 on indoor and outdoor chairlifts. There is the challenge of changing lifestyles to live permanently in Florida and of course, we were faced with the hurricane evacuation in the middle of all the lifestyle chaos. Finding a capable, personality compatible aide is synonymous with dating…I’m thinking of starting a site, Ivefallen&Icantgetup.com. We have had outrageous demands, mood swings, thefts, no shows. We have been drawn into their family issues, money problems…it is endless all for the nonrefundable price of $3000 a week. I am now an expert on wheelchairs, chairlifts, EMT interaction, billing and health advocacy. And, I can still find zip up the front housecoats in an array of colors and patterns with matching non-slip socks. So, if anyone knows anyone who wants to rent a beautiful Connecticut home in Fairfield County, just dial up the devil. Peace, sanity and good health for all. You are lucky your mom is of sound mind. when you say “I know my mom would rather die then live in any type of group facility no matter how luxurious it may be.” — have you actually visited any of these places? My dad (91) lives in a gorgeous community. He lives in a very gracious 2BR, 2Ba unit, with a patio (upper levels have balconies). It was finished with his specs (cabinetry, flooring, etc). So many activities and amenities: swimming pool, gym, arts & crafts room (with potters wheel and kiln), woodworking shop, billiards, library, computer room, gardening areas — you name it. I call it senior summer camp; he calls it a cruise ship that never leaves port. Meal plan available, with access to a lovely dining room (even has a liquor license) or a cafeteria. Best of all — there is daily monitoring. Currently my dad lives independently, but there are escalating levels of care. He’s made many friends there, despite being a somewhat wacky engineer type. My dad lives at Sedgebrook i Lincolnshire, IL. The community was developed by Erikson, which has since sold off this location. But I believe Erikson is active in Florida. Obviously — takes money to live this way. But if it is an option, you may want to explore. Queen E is very blessed to have an awesome daughter. And you are very blessed to still have her and your daughter is very blessed to see and learn true Love and commitment. Your commitment to make sure she is well care for and giving her quality life is so beautiful.